In Spite of Oceans: Migrant Voices explores the individual journeys of generations in transition from the South Asian subcontinent to England. Poignantly written, and based on real events and interviews, what emerges is the story of lives between cultures, of families reconciling customs and traditions away from their ancestral roots, and of the tensions this necessarily creates. We hear from the young bride from Bangladesh, married to a stranger, who comes to England to navigate life with a man she cannot love; from an Indian father who struggles to come to terms with his son's mental illness and hides it from people he knows; about how a mother and daughter's relationship was shattered in the clash over the Pakistani traditions her daughter chooses not to follow. Each narrative describes a journey that is both literal and deeply emotional, exploring the hold an inherited culture can have on the decisions and choices we make. At times heart-breaking, at times inspirational, In Spite of Oceans brings to life the pull of the past and the push of the future, and the evolving nature of what we understand as home. Huma Qureshi was born in the West midlands to Pakistani parents. She graduated from the university of Warwick in 2003 and worked as a journalist for the Guardian and the Observer for several years before becoming a freelance writer. She lives in north London with her husband and son. 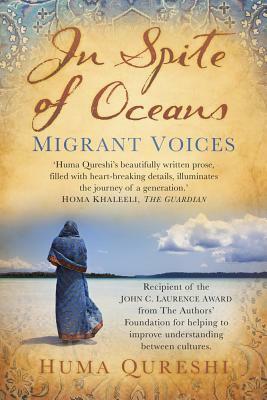 In Spite of Oceans: Migrant Voices is her first book.